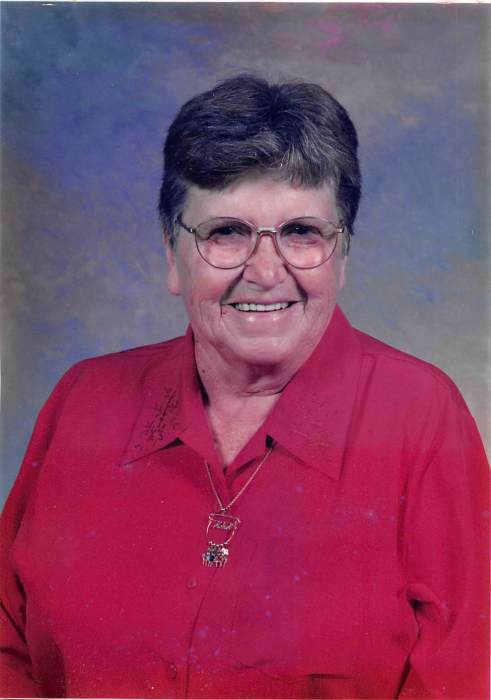 Wanda Wilson, 96, of Pensacola, went home to be with the Lord Monday, April 15, 2019, at Smoky Ridge Health and Rehabilitation. She was a daughter of the late Edgar and Martha Johnson Hawley. Wanda was the wife of Lawrence C. Wilson who passed away in 1998. She was also preceded in death by a son: Terrell Wilson, who died in 1985. In her 96 years of service to her church, family and community, she was a constant reminder of the virtuous woman as described in Proverbs 31. Surviving are a son: Rick Wilson and wife, Bernie; daughter: Patricia Silver and husband, Jerry, and Jane Byrd and husband, Darin, all of Burnsville; grandchildren: Terry Wilson and wife, Pam, Beth Hughes and husband, Randy, Randy Silver, Johnny Silver and wife, Lesley, Tracy Silver and wife, Brandi, and Kelly Carroll and wife, Shelly, all of Burnsville, Misty Dion and husband, Ryan, of Myrtle Beach and Robin Wilson of Morrisville; step granddaughter: Casey Fox and husband, Adam; 17 great grandchildren; 7 great, great grandchildren; and several nieces and nephews. A celebration of her life will be held at Pensacola Free Will Baptist Church, of which she was a member, at 4PM Thursday. Rev. Keith Miller will officiate. Burial will be in the Cam Wilson Cemetery at Pensacola. The family will receive friends from 6 until 8PM Wednesday at Holcombe Brothers Funeral Home, where the body will remain until taken to the church to lie in state 30 minutes prior to the service. The family wishes to give special thanks to Hospice and Palliative Care of the Blue Ridge and Smoky Ridge for end of life care. In lieu of flowers memorials may be made to Pensacola Free Will Baptist Church, C/O Patricia Silver, 305 Ewart Wilson Road, Burnsville, NC 28714.